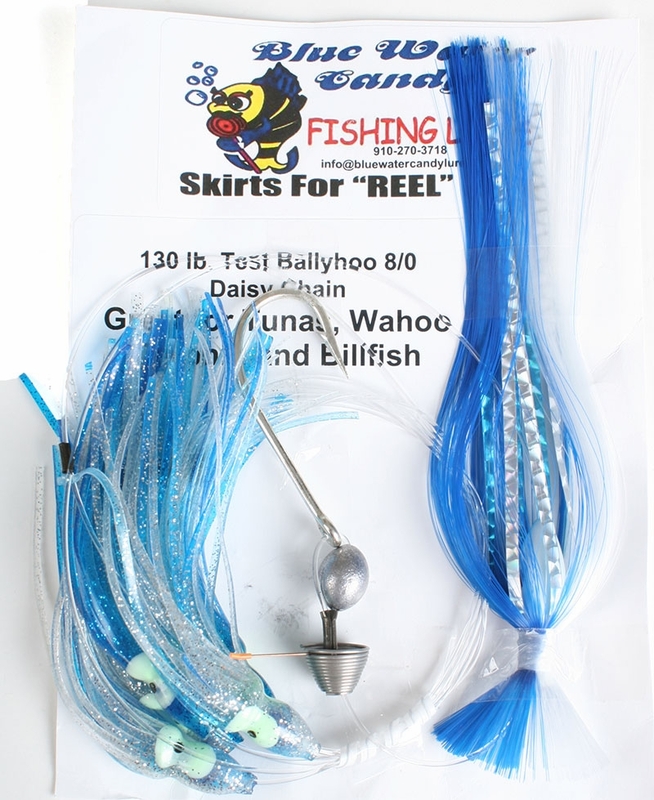 The Superstar Rig is Blue Water Candy's bestselling daisy chain. It features five 4 1/4" octopus skirts on 130# mono with a 1 oz. witch chaser. Rigged with an 8/0 ballyhoo rig. 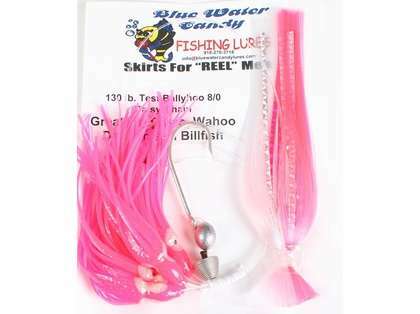 Great for hooking into large Mahi, Tuna, & Billfish species.